This is the latest in the ongoing saga of the whereabouts and safety of the Bollyn family. The previous article is here. In March 2011, a man in Europe, who is concerned about the Bollyn family, contacted me, and the two of us had a three-way conversation via Skype to a policeman in Otepää, Estonia. A couple days later we had a three-way conversation with a policeman in Sweden, where we think the Bollyn family is now being held. We provided the policemen with information that suggests that the Bollyn family has been kidnapped. We then patiently waited for their response. The policeman in Estonia responded with a very brief e-mail message (at the bottom of this page), and so we wrote the following message in response. We have not heard from him since, and so we are posting this on-line. The policeman in Sweden responded by calling me on the telephone a few days later to ask for some more information about the Bollyn family. He may have more of an interest in the issue, but we have not heard back from him yet. Note: I don't want to irritate the policeman in Estonia (at least not yet! ), so I replaced his his name, title, and other information with "***". We appreciate that you looked into this complicated issue for which a full understanding requires some background information that you might not be aware of. Unfortunately there are language barriers, but we are happy to provide the information we have. We could, for instance, make another phone call to you so that we can provide more information, and you can ask us questions about whatever is not clear to you. This will help you understand the importance of some issues stated in my article I attached in a previous email to the Otepää police and entitled "July 2010 update on Christopher Bollyn and family" which we strongly recommend you to read, and which we sent by email to the Bollyn website a few days before publishing in its complete form, on 6 July 2010. We also sent a copy to everybody in the staff of the Otepää Gymnasium (that is the school that Christopher's wife, Helje Kaskel, briefly worked at, and which their two children attended for some time.) That article also links to more articles in my website with further information that will make clear other details of this kidnapping. Or, if you prefer, we can communicate by e-mail, but that might take longer. Also, we did not say nor imply that the Bollyns had to leave Estonia as a consequence of persecution by the Estonian government or the Estonian police. 2) The Bollyns have been moving from one nation to another because the kidnappers became worried they would not be able to keep the Bollyns under control for too long in the same place without raising the suspicion of the local population. We do not believe that the Bollyn family has been moving because they made the decision themselves. The rest of this email is divided into two sections: "Information about the Bollyns" and "Suggestions on what the Otepää police should do to help the Bollyns." • The crime network involved in this kidnapping is the same one that engineered, with the support of Israelis (some of them even in the Israeli government), the attack of September the 11th and other big crimes on a large scale. • The attack of September the 11th was not done by Arabs but by Jews to set America against Muslins, i.e. against Israel's enemy. Both Christopher Bollyn and myself were investigating the 9/11 attack and discovering that Israel was the primary group responsible, and that the Israelis were fooling the world into thinking that Arabs were responsible. The Israelis also tricked a lot of people into assisting with the attack by fooling them into thinking they were somehow helping the world. These accusations are backed by evidence, not opinions. From the summer of 2003 until his family disappeared in June of 2007, I occasionally worked with Christopher Bollyn on the investigation of the 9/11 attack. Therefore, we spent four years occasionally working together, and communicating by phone. Christopher and I were not strangers, nor enemies. Furthermore, both Christopher and I were speakers on a tour of Europe during the summer of 2005 in which we both spoke about the 9/11 attack. This tour was funded by a wealthy American named Jimmy Walter. Christopher Bollyn and his wife, Helje Kaskel Bollyn, were exposing this crime network, and the criminals did not like either of them, which is why the Bollyns were kidnapped. The events leading up to the kidnapping are complicated. To summarize it, the American legal system is almost completely dominated by Jews. The Jews will follow the law when they want to, but they did not like Christopher Bollyn. In 2006 some Chicago policemen were sent to his house, and they had him arrested for "resisting arrest," which makes no sense. The Chicago police illegally destroyed the video that was recorded by their automobile dashboard cameras, but they did not get into trouble for that. The city of Chicago has been known for corruption for decades. Christopher went to court, but the Jewish judge did not care that the policemen illegally destroyed video evidence of the crime. Christopher was found guilty of resisting arrest. He was concerned that they would arrange to put him in jail, so he decided to leave America. He foolishly trusted some people who were Jewish. This was in June of 2007. Note that this crime network kidnapped the Bollyns not for money but to silence those who have the courage to expose their crimes. This type of kidnapping is confusing to many people because it's not a classic case of kidnapping for purposes of money. Rather, it was a kidnapping for the purpose of silencing an investigator of very serious crimes, but in a manner to make it appear as if the investigator simply decided to move to another nation. In this way the police are not concerned about a kidnapping. Everybody assumes that the investigator simply decided to move somewhere. 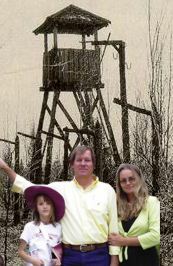 In order to make it appear as if the Bollyn family was free and independent, they were given partial freedom. For instance, when they were in Otepää, Helje was allowed to work part-time to a limited extent at the Otepää Gymnasium from November 2007 to sometime around February 2009. Their two children were also allowed to attend the Otepää Gymnasium, but not for the entire time that Helje was working there. Eventually their two children were withdrawn from school and put on home study (koduõppele). We are not certain of all of the details because of the language barrier with Estonia, and the reluctance of the people in Estonia to talk about this issue. This is one of the reasons the Estonian police should get involved and investigate. Officially the reason why their children were put on home study was that Christopher Albert, the Bollyns' son, was bullied and beaten at school. There are some reports about those beatings in the Estonian press. For example, the article Otepää gümnaasiumis uuritakse koolivägivalda originally published by the newspaper LounaLeht on 9 April 2009 here. Please note that this article dated 9 February 2009 was later edited on 7 July 2009, i.e. days after we published this article that mentioned this issue on 20 June 2009. It took us only a couple of phone calls to people in Otepää to find out that there has not been any bullying against Christopher Albert; he actually was very popular in that school and friend of everybody, also according to some student of that school. This means that that news report was a lie, although we do not know if the journalists were lying, or if the kidnappers were providing false information to the journalists about the bullying. However, in the USA, and many other nations, the journalists are deliberately lying about the 9/11 attack, and many other crimes, so we should consider the possibility that the Estonian media is also under the control of this Israeli / Jewish crime network..
We respect the freedom to put children on home study, but we have the impression that this issue of the bullying was fabricated by the kidnappers in order to justify the withdrawal of the Bollyn children from school. It would also allow the kidnappers to quietly move the Bollyn family out of Estonia without arousing the suspicions of the police or other people in Otepää. One of the students in Estonia described Helje as always smiling while she was at school. We do not see any evidence that she was antisocial, or causing any trouble at school. Therefore, we suspect that the kidnappers wrote a letter for Helje, or forced her to write a letter, to start a fight with Mr. Aivo Meema, the headmaster of the Otepää Gymnasium, who according to that same newsreport said, "Meema: kiri tuli mulle üllatusena" [Meema: that letter came as a surprise to me]. Again, this type of letter would also provide the kidnappers with justification for removing Helje from school without raising the suspicion of the people in Otepää. (See the article on the LounaLeht mentioned before and the article Urmas Alenderi viimane abikaasa süüdistab kooli juhtkonda kiusamises ["Urmas Alender's last wife blames bullying on school managers"] by that same newspaper on 12 February 2009 here). We suspect that the Estonian TV program Alenderi viimane kaasa Helje: Kohtun Urmasega tihti unes by Reporter.ee dated 28 September 2008 might have been broadcast to reassure people that the Bollyns were free. Perhaps somebody of that TV was oblivious to this kidnapping, but we suspect that somebody there is in contact with the kidnappers. The television in the USA is frequently lying to us about the 9/11 attack, and many other crimes, and so we should consider that the Estonian television has also been infiltrated with Jewish criminals, or is in some way controlled by them. In response to the accusations coming from me, Eric Hufschmid, that the Bollyn family was kidnapped, since 2007 there have been many attempts to convince me and other people around the world that the Bollyns were free, but many of these attempts were very suspicious. For example, on Bollyn's website, a photo of him holding a magazine was posted that shows him holding a magazine in order to prove to the world that he was alive at the time that the magazine was published (the photo is below). 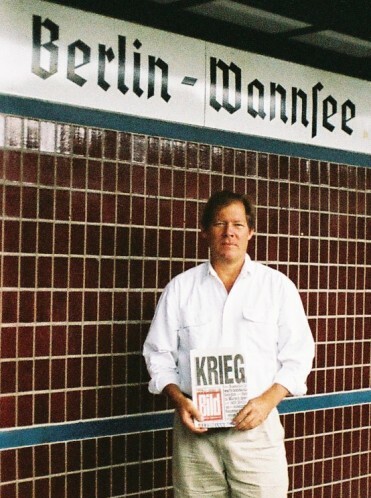 The magazine was from August 2008, and the cover story was "Krieg" (ie, war), which is a reference to the Georgia-Ossetia conflict that started on 8 August 2008. This photo of him holding the magazine did not convince anybody that he was free. This is what ordinary kidnappers do to prove that their victim is alive. This is not what a truly independent, free person does. If somebody accused you of being kidnapped, would you take a photo of yourself like this and then post it on the Internet to prove that you are free? 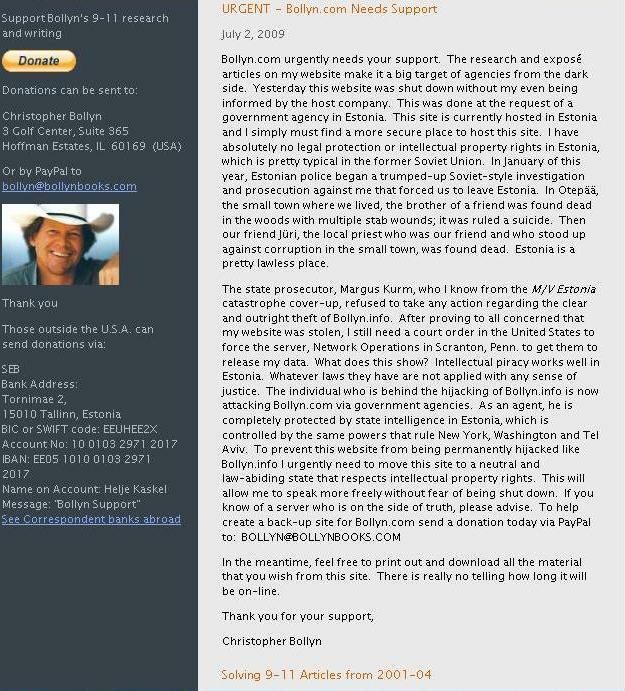 This is more evidence that Christopher Bollyn has been kidnapped, and that the kidnappers are in control of his website. Also Christopher was allowed to have some limited freedom, so sometimes he was seen around Otepää, sometimes with his wife and their two children; this means that the kidnappers have a way to keep all of them under control. We do not know how the kidnappers are keeping the Bollyn family under control. It is possible that they are threatening to kill the entire family, or retaliate against Andrus Kaskel (Helje's brother, who lives in Estonia), or Linda Kaskel (Helje's mother), or Kalju Kaskel (Helje's father, who passed away in September 2010). We do not know the details of this unusual style of kidnapping, but the Estonian police should investigate the situation, perhaps by contacting the Kaskel family members, school personnel, and neighbors. The Bollyn family may now be living in Sweden, but the people in Estonia should continue to investigate this case and try to stop this type of crime, and they should also try to stop the corruption in their news media. The Estonian police should make sure that Andrus Kaskel and Linda Kaskel are safe. Also, the Estonian police could contact the Bollyn family verbally (not just by email, since their email appears to be under the control of the kidnappers. It is important that the police verify that they are directly communicating with Christopher Bollyn, and not somebody who just claims to be him.) The Estonian police could then reassure the Bollyns that the police will protect their relatives in Estonia. If the Bollyns are aware that the Estonian police will protect their relatives then, at the appropriate time, they might try to escape this nightmare. However, if the Bollyn family have no confidence in the police, then they may continue to do nothing out of fear that their relatives will be harmed. Furthermore, the people in the city of Otepää will also continue to be reticent if they have no confidence in their police. Therefore, the police should reassure people that they are brave enough to face crime networks and willing to investigate mysterious situations. The Jewish crime network is international, and we suspect that some of their members in USA, Norway, Sweden, Germany, and possibly in Estonia, are directly involved in this kidnapping. The kidnappers took over the website of Christopher Bollyn and force Christopher to write there, and to reply to email according to their will. Please note that it is Bollyn's website that stated that Bollyn has to leave Estonia because of a persecution from the Estonian police. We do not believe there was a persecution from the Estonian police; rather we think that the kidnappers forced Christopher to write this statement to justify to the people outside of Estonia of their sudden and mysterious disappearance from Estonia. Also, by making it appear as if the Estonian police are dishonest, the kidnappers might have been trying to make people afraid of the Estonian police so that they do not contact the police and help them find the Bollyn family. • Christopher begs for money (he does not look for a job). Never in his life did he live by begging. He always found a job. • Helje found - at different times- two jobs at two schools, but only for a short periods of time, and in Otepää she worked only part-time. • We are aware that once they were taken away from Otepää and moved to Sweden, Helje was teaching intermittently. • On the evening of 10 June 2007, Christopher Bollyn called me (Eric Hufschmid), on the telephone to tell me that he was in need of some money for a trip, although he would not tell me where he was going. I sent him $1000 US. It was the last time we had any real communication. He appeared weeks later in Europe, but he would not allow anybody to contact him. He also refused to let anybody know where he was. On his website, he frequently thanks people for sending him donations, but he will not even acknowledge the thousand dollars that I sent to him. Note, I want to be clear that I am not trying to get any of that money back. Furthermore, prior to giving him the 1000 dollars, I had given him my laptop computer, and for free! He was a friend of mine, and I was willing to help him when he needed it. Who is taking the orders? Who is shipping the books when somebody orders a book? If it is the Bollyns, the postage stamps on the package it would reveal their location! However, according to what is stated on his website, Christopher is supposedly running away from the Estonian police and various secret services! Therefore, he would not want to mail the packages. So who is mailing the packages? And why did he post his bank account information on his website if he truly wants to hide from the police and the secret services? • Ever since the Bollyn family disappeared in June 2007, Christopher and Helje have been refusing to get a full-time job, and I do not think that he is making much money with his website. However, they have two children to support. How are they supporting their children and themselves without a job? Are their children in school? Do their children have any friends? • Helje's father, Kalju Kaskel, a resident of Otepää, died on September 19th 2010. Helje did not go to her father's funeral. We do not know if she inherited any money or items from her father, but we know that she did not go to Estonia to contact the notary, Anna Rästa, to deal with the paperwork involved with receiving an inheritance. Her brother Andrus Kaskel (resident of Estonia) did not go to the notary, either. Only Linda Kaskel, the mother of Helje and Andrus, from whom Kalju was divorced (Linda and Kalju were not living in the same house) bothered to deal with any possible inheritance issues! Those phone calls were made in mid June 2010. However, if my accusations that the Bollyn family was kidnapped were truly absurd, then why would her father be so concerned about my accusations? If the Bollyn family had convinced the people in Estonia that they were free, then Helje's father and all of the people in Estonia would ignore my accusations that the family has been kidnapped. The people in Estonia would assume that I am simply making a mistake because I am in a foreign nation. However, the concern of her father, the anger towards me in Bollyn's articles, and the reluctance of people in Estonia to talk about this issue, is evidence that her father and the people of Estonia have doubts about their safety. Furthermore, the anger that we find in Christopher Bollyn's articles is evidence that the kidnappers are angry at me for exposing this crime. Considering how angry and concerned Christopher Bollyn is about my accusations, why doesn't he offer some proof that he is free, such as allowing me to talk to him on the telephone? Or why doesn't he provide an explanation for why he refuses to get a job? Why does he not provide a video of his family in a truly public setting, such as at a police station? We had been talking on the telephone since 2003, and his family visited my house twice, and once they stayed for a couple of weeks. We were not strangers. We were friends, and we occasionally helped each other with some articles about the 9/11 attack, or some other issues. On 10 June 2007, he was willing to call me on the telephone and ask for money, so why is he not willing to call me on the telephone and explain to me that he is safe? Why will he not communicate with me directly, such as through phone calls or Skype? How suspicious does this situation have to be before people in Estonia realize that something is wrong? • The Bollyn children are teenagers right now (Christopher Albert is now about 15 years old, while Catherine Grace about 12 years old). They should be in school, and socializing with other children. Where are his children? Do they go to school? Why are they never seen in public? Why is nobody allowed to talk to them? • Why did Bollyn's daughter, Catherine Grace, suddenly stop communicating with her best friend in Otepää Gymnasium through the website rate.ee? Why, through that website, did she write a message to her best friend saying that they were going to the USA when they appear to be in Sweden instead? Christopher Bollyn does not want to return to the USA! As mentioned earlier, the Chicago police arrested him for resisting arrest, and a Chicago court convicted him of this idiotic "crime", and so Christopher does not want to return to the USA until this issue has been resolved. Why did Catherine deleted her profile from that website after she sent that false message? The behavior of their daughter is evidence that the kidnappers were trying to fool the children in Estonia that the Bollyn family was voluntarily moving to the USA. Salt Lake City, Utah, September 9, 2006 (video here) Christopher Bollyn and Helje Kaskel in Chicago. Note that in the October 28, 2006 footage, from 7:03 - 7:41 of the first part, Christopher and Helje can be seen encouraging the audience to contact them, giving them contact details. In that footage, they also talk about their persecution by people in the corrupt American legal system. Since their disappearance from USA in June 2007, the Bollyns were put into hiding, did not go public, and did not keep in contact with friends, and co-workers like me, or the people Helje worked with in Otepää Gymnasium. • We have been told from people in Otepää that the Bollyn vanished from Otepää without removing their children from the school records of Otepää Gymnasium. The school officials informed the Otepää police of their mysterious disappearance, and they also contacted the minister of education of Estonia. Some people of the school called Helje at her home, which was her mother's home (Linda), since she was living with her. We have been told that Linda for a while did not answer the telephone and after a while she answered that she had no idea where her daughter Helje and her family were, saying that maybe they were in Germany. On the other hand, when the Bollyns stayed in my house here in California, Helje was in regular contact by phone with her mother Linda. • Some people might wonder if the Bollyn family is refusing to talk to me because they decided they were no longer interested in my friendship. That would be a valid assumption if the Bollyns had continued their relationships with their other friends, and if they were having a "normal" life. However, they have been refusing to contact everybody that they used to be in contact with. Also, they no longer travel, and they no longer interview people, and they no longer appear at public meetings. The children are not seen in public, either. They are hiding from everybody, not just me. And how about Heljes' mother who claims not to know much about them, either? And in a recent phone call, Andrus claimed that he has neither the phone number nor the email address of his sister Helje. I remember that the Bollyns were very friendly and social. Incidentally, some days after that phone call to Andrus, a colleague of mine received an invitation from Andrus to become his friend on Facebook. My colleague accepted the invitation, and he sent Andrus a message asking to talk to him by phone or Skype. Meanwhile Andrus asked my colleague in a message why he (my colleague) was showing a picture of Christopher Bollyn holding a newspaper in his Facebook page. My colleague promptly started typing an answer, but Andrus' Facebook page account was deleted while he was typing his message! 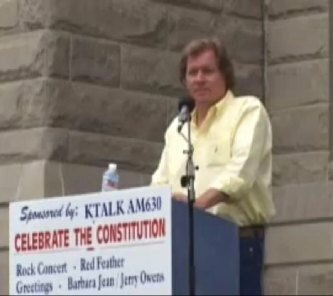 Since his disappearance in June 2007, Christopher has allowed only a few telephone interviews, and only with radio hosts connected to the Jewish crime network, such as those at RBN radio. There is a lot of evidence that the Bollyn family has been kidnapped in order to silence their investigation of the 9/11 attack and other crimes committed by the government of Israel. It would have been risky for the kidnappers to kill the Bollyn family since Christopher was a well-known journalists in many nations, and a lot of people were following his investigative work about 9/11 and other issues. Helje was also relatively famous, both for her investigation of the M/S Estonia sinking and being the ex-wife of Estonian famous singer Urmas Alender who died in that sinking. Therefore, instead of killing the Bollyn family, the criminal Jews arranged for them to be kidnapped, and then tried to create the illusion that the Bollyns had simply moved to another nation. The kidnappers did not want people to become suspicious, and they did not want the police to investigate the whereabouts of the Bollyn family. However, do not let criminals outsmart you! The purpose of this kidnapping is not a ransom, i.e. asking for some money, but to keep the Bollyn under control so they cannot investigate this Jewish/Israeli crime network, and to keep them far away from friends, followers, and acquaintances, hoping that we all forget about them. The kidnappers may also be trying to ruin Bollyn's friendships by giving the Bollyn family a bad image. If the kidnappers succeed in tricking all of us into ignoring the Bollyn family, then the kidnappers will be able to kill them without anybody noticing or caring. This is probably the reason why the English Wikipedia entry for Christopher Bollyn has been deleted (it is well-know that the Wikipedia administrators protect the Jewish crime network). Bollyn still publish information about this crime network, but it now contains damage control propaganda from the crime network that he was previously investigating, and which is now keeping him and his family under control. Thanks to the Internet, the existence of this crime network, and their involvement in the September 11 attack, cannot be denied any longer. 1. How is he making a living? How does he support his children? 2. Where are his children? Do they go to school? Why are they never seen in public? Why is nobody allowed to talk to them? Who exactly in the Estonian police department was persecuting him? We believe that the accusations of persecution are fabricated by the kidnappers in order to justify moving the Bollyns out of Estonia. 4. The police could ask him to explain the photo of him holding a magazine, and other suspicious activities that I pointed out in my articles on the mysterious disappearance of the Bollyn family. 5. The police should also contact Andrus Kaskel and Linda Kaskel (their phone numbers are +372 53487418 and +372 7970812 respectively), to reassure them that the police will protect them in case of need. Also, the police should ask them to explain their strange behavior pointed out before, and their improbable ignorance about the Bollyns. The Estonian police should also make sure that Andrus Kaskel and Linda Kaskel are not directly threatened. If the police in Estonia can verify our accusations that the family has been kidnapped, then we will be able to provide that information to the police in other nations, such as Sweden, to justify an investigation in those other nations. We realize that the police must be very careful about what they say in public, but we hope that the Estonian police can find the courage to secretly help identify and destroy this horrible crime network. Your concern about the Bollyn family is understandable and human. Articles published by Christopher Bollyn and Helje Kaskel touch many people very personally. At the same time, I have to assure to you that the Republic of Estonia is a democratic country which respects human rights and where free speech is one of the main rights for people, therefore, as far as we know, the Bollyns did not leave Estonia because of the articles but on personal reasons.